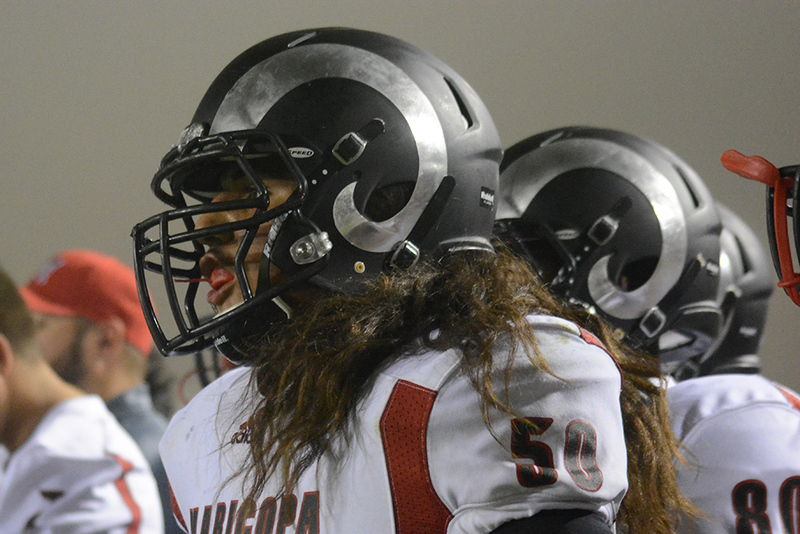 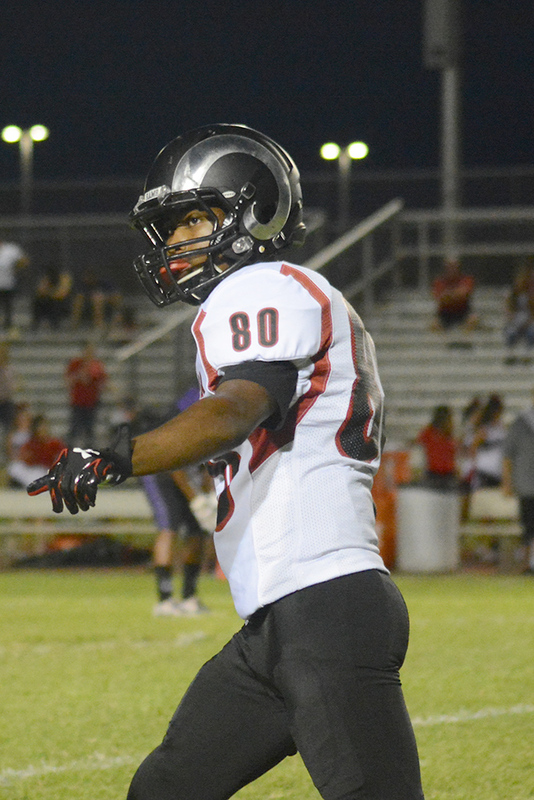 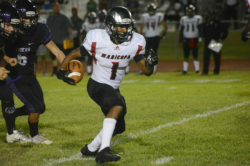 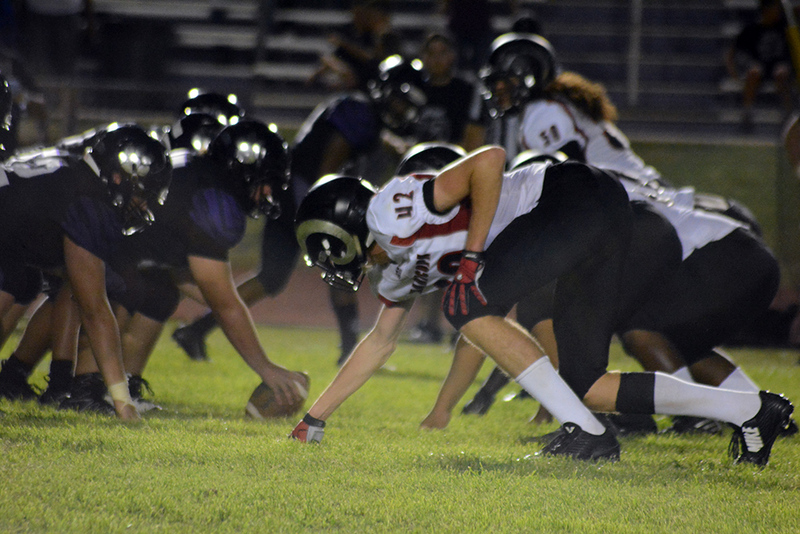 Senior Isaiah Crawford takes the ball downfield for the Maricopa Rams. 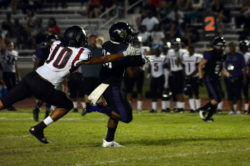 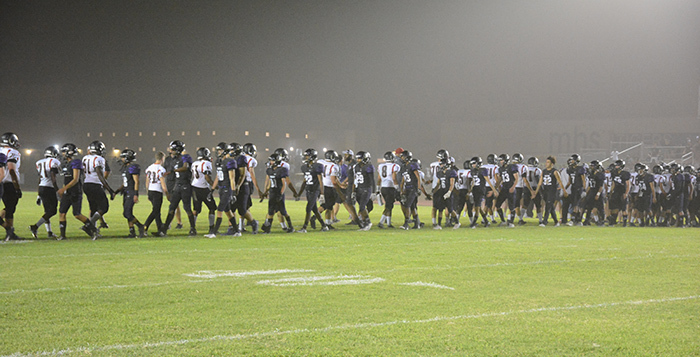 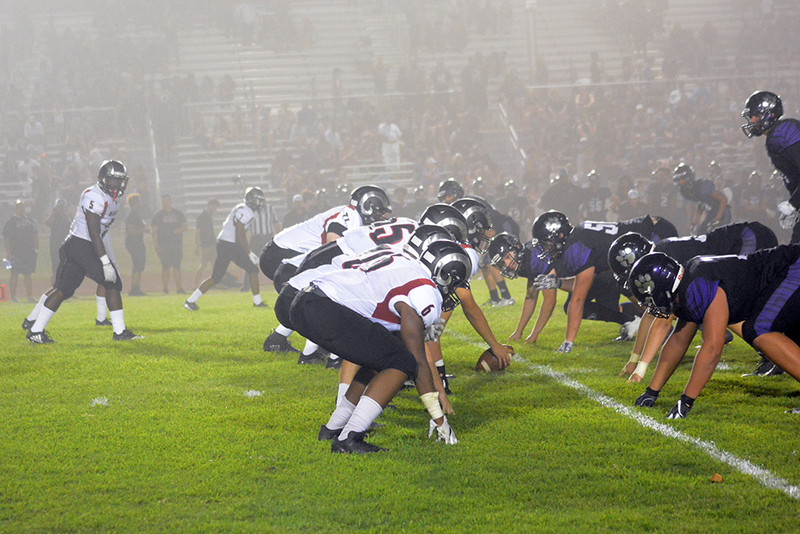 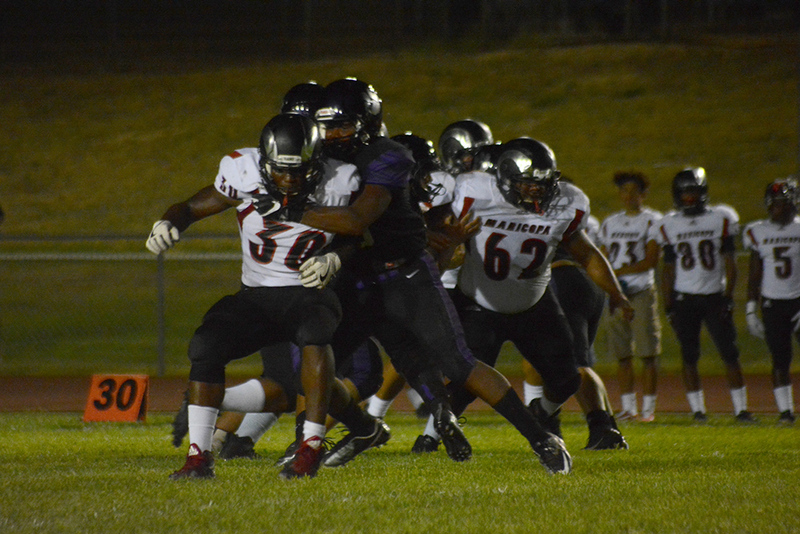 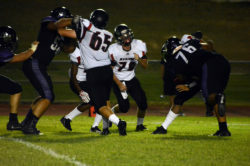 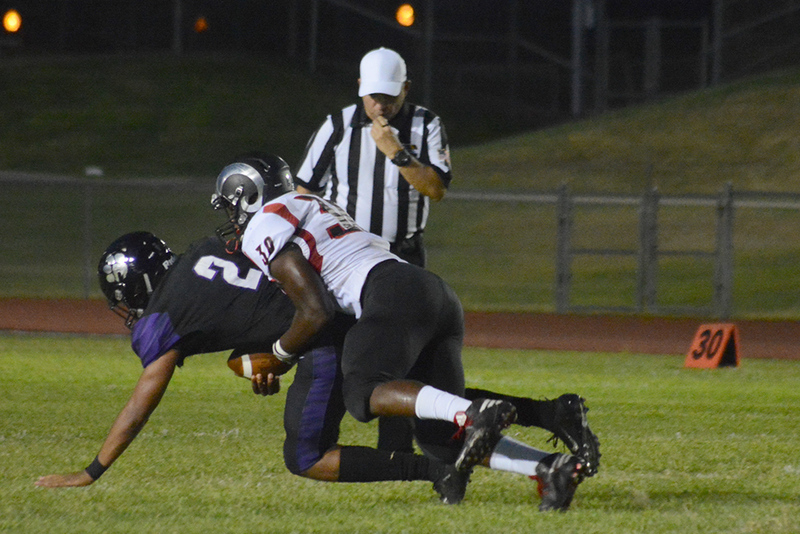 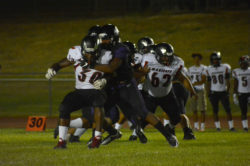 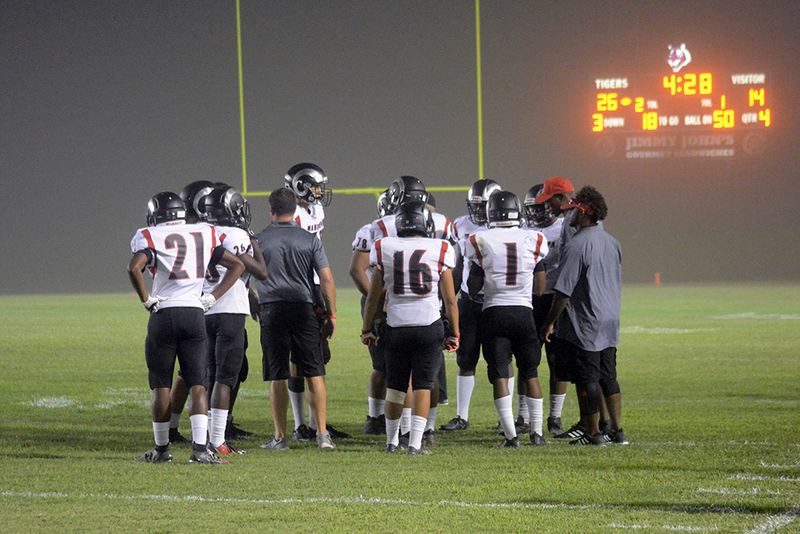 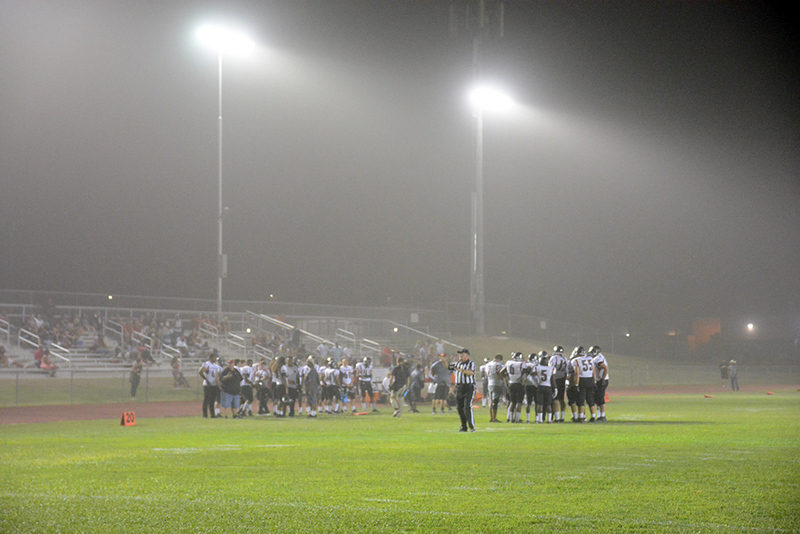 In a messy, dusty Game 2, Maricopa High School’s football team lost at Millennium, 26-21. 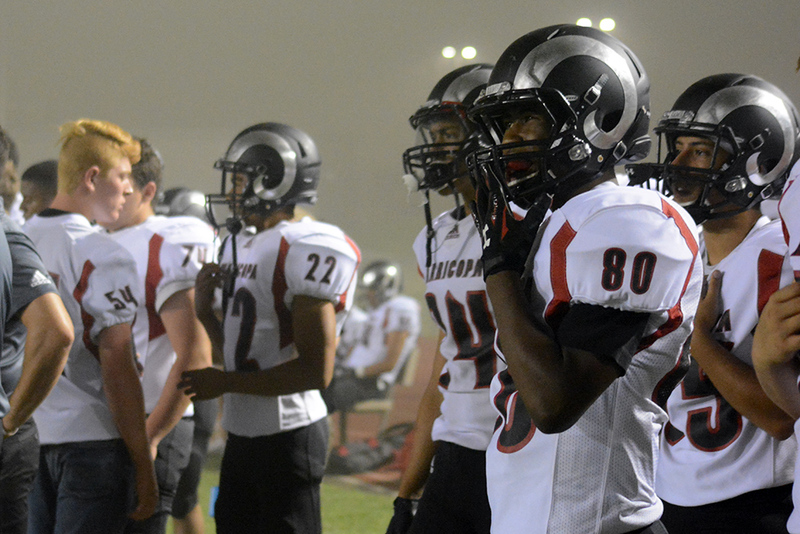 That evened the Rams’ record at 1-1. The Tigers took a 12-7 lead over Maricopa in the first quarter. 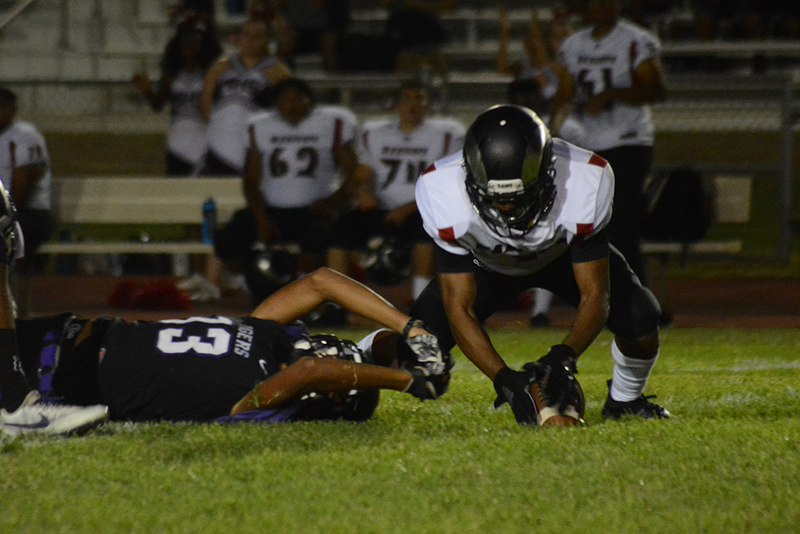 After pushing that to 26-7 in the third, Millennium did not score again. 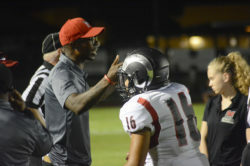 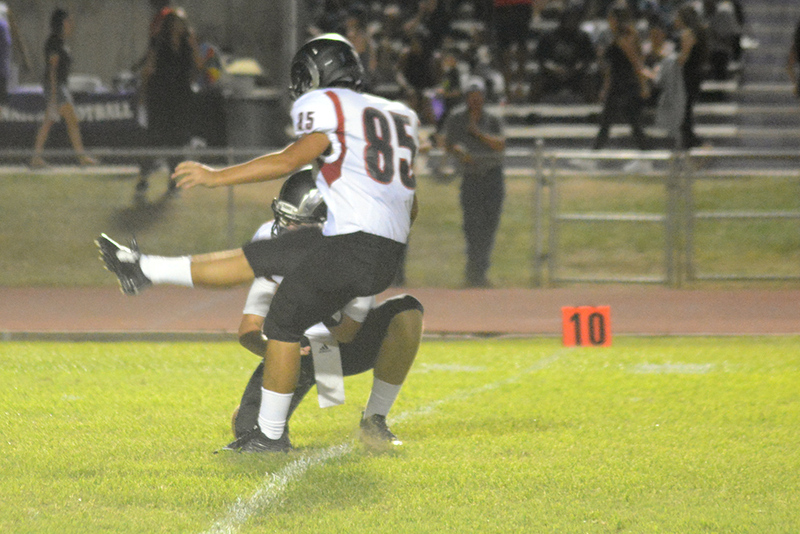 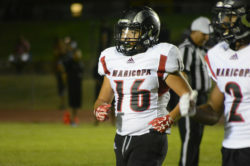 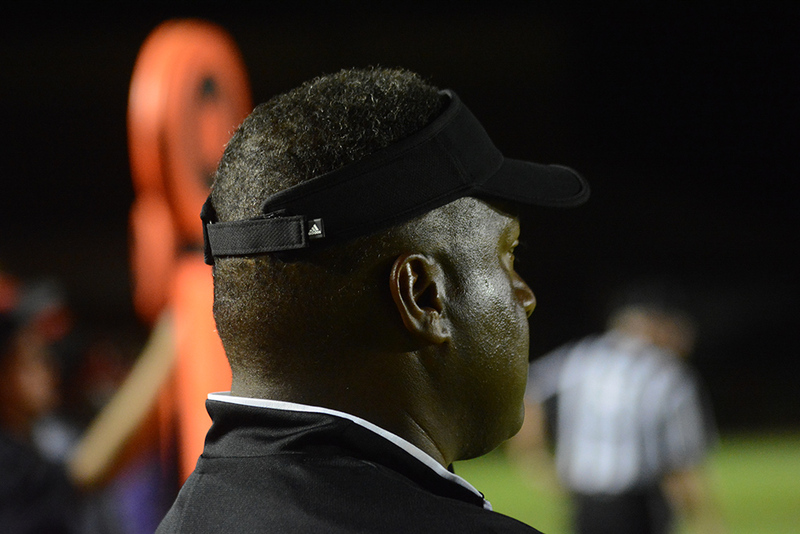 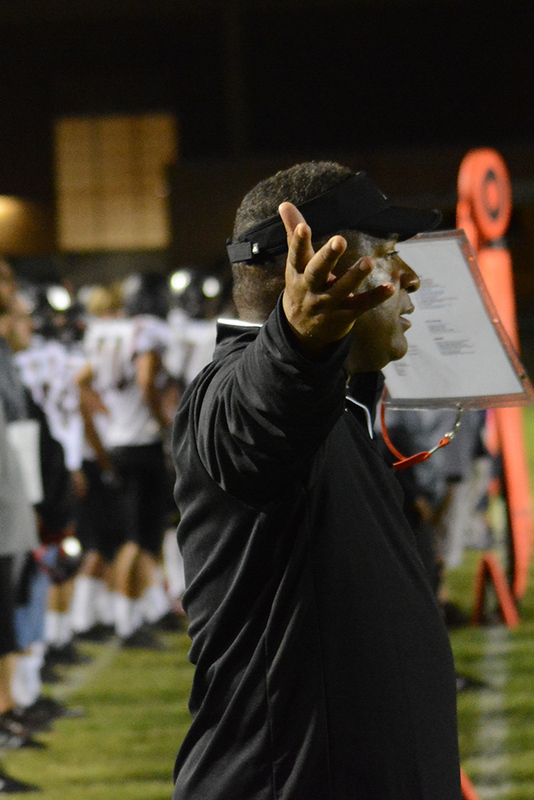 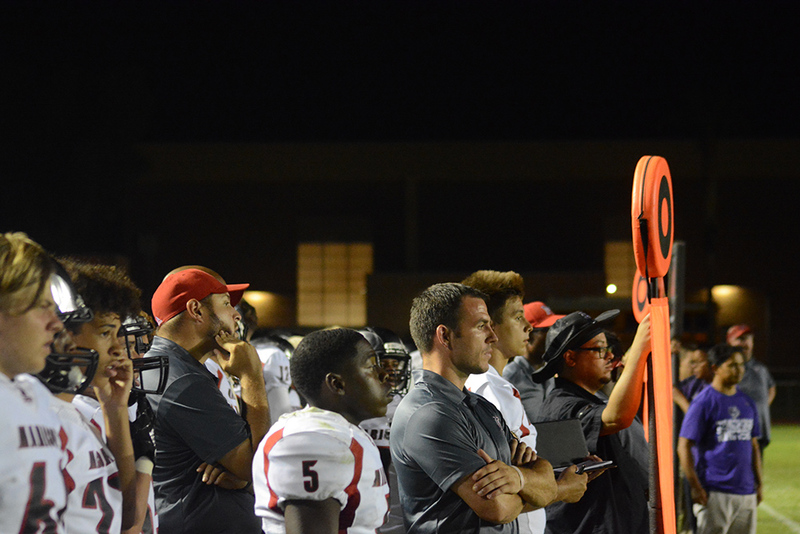 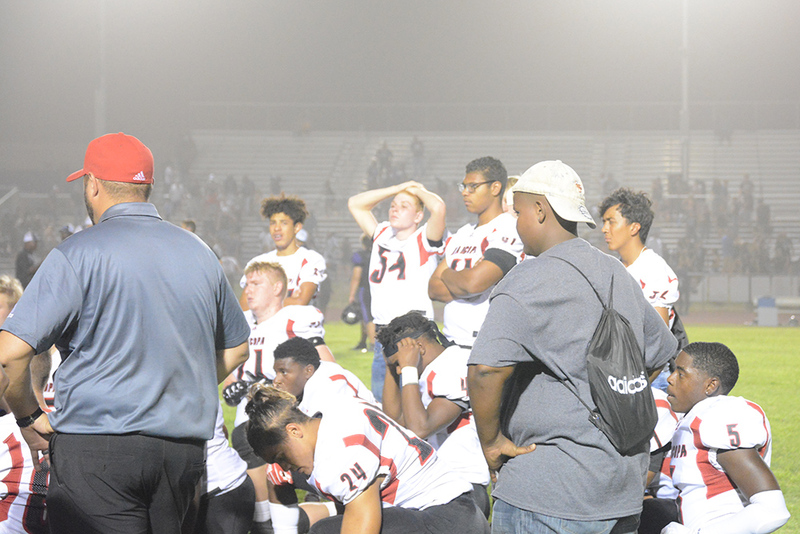 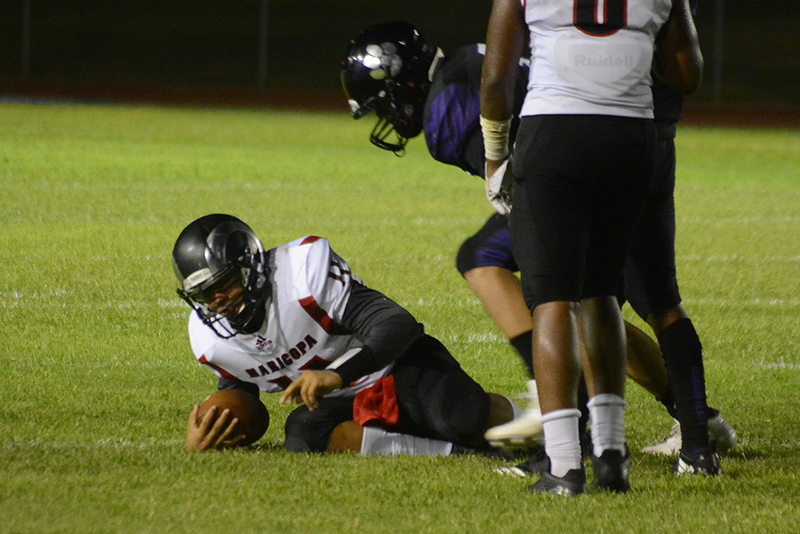 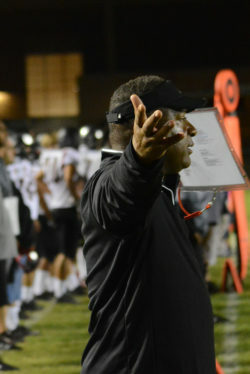 With both offensive lines showing vulnerability, the quarterbacks were under pressure all game and Maricopa coach Brandon Harris began rotating his QBs, Jordan Huddleston and Daxton Redfern, with mixed results. 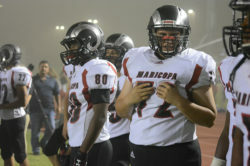 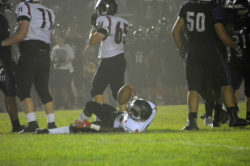 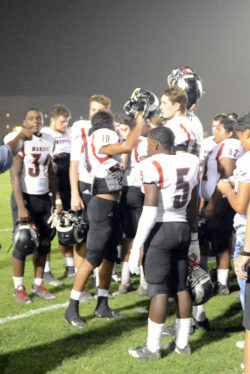 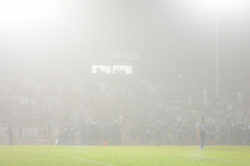 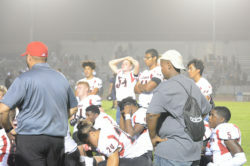 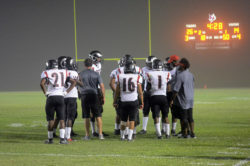 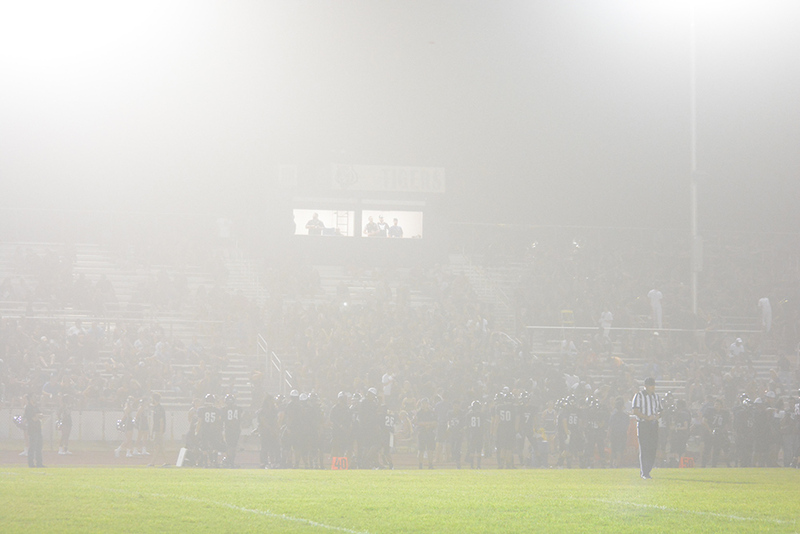 In the third quarter in the middle of a full-blown dust storm, Maricopa used a 70-yard kickoff return by Isaiah Crawford to set up a 12-yard touchdown run by Jacob Cowing. 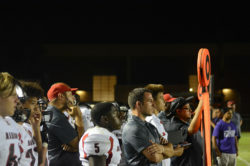 With time running out near game’s end and little official attention to the play clock or game clock, Mister Chavis ran in from the 6 for the final score. Harris told the Rams he was proud of them for never quitting despite being down. 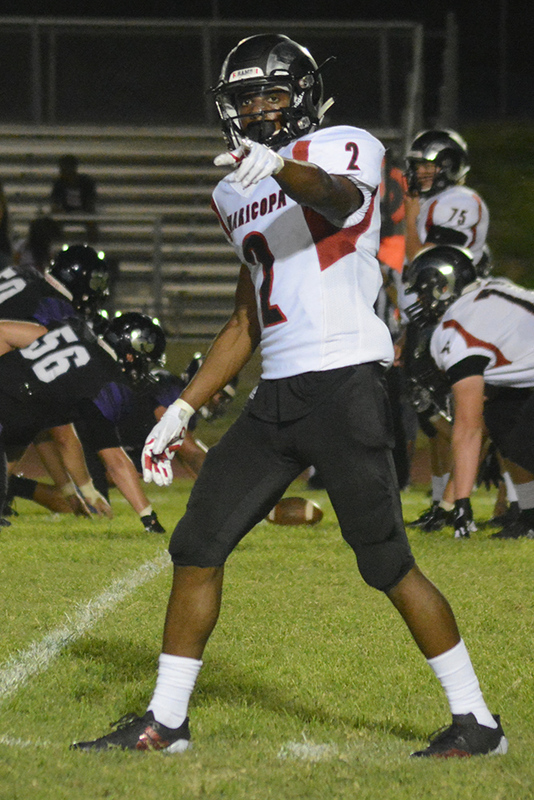 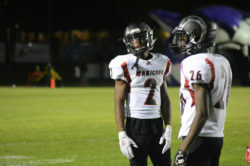 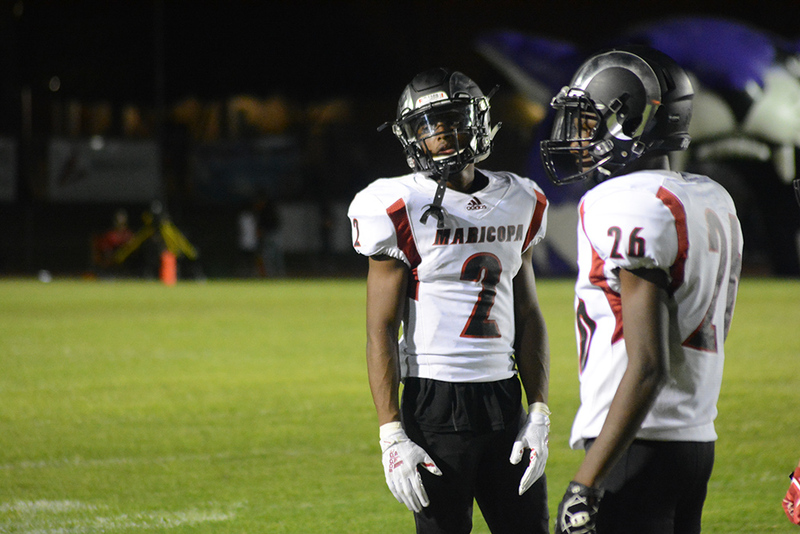 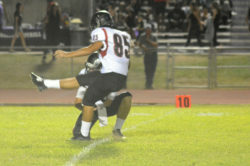 Maricopa next plays a non-region game at Apollo Friday at 7 p.m.